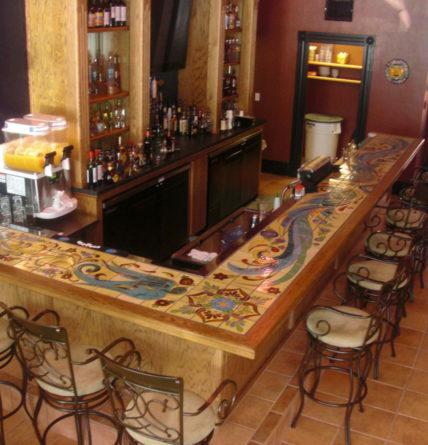 Custom hand glazed tile bartop made for El Charro restaurant in Downtown Prescott, AZ (18′ x 1.5′). 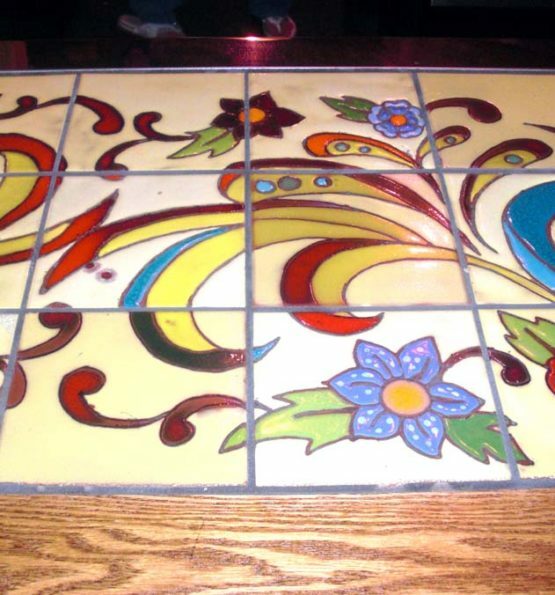 Glazed Reclaimed wood border by Baer Joinery. 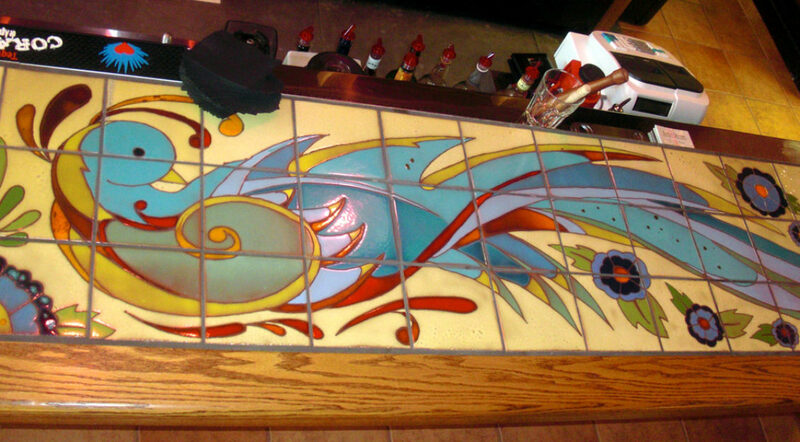 Installed in April of 2012.